Thinking About Becoming A Doctor? Latest Thinking About Becoming A Doctor? Have you ever considered a career in medicine, but never know what important questions to ask? The Association of American Medical Colleges tells you everything you could need to know about studying medicine and becoming a doctor. How do I get started? What resources are available to help me become a doctor? You might already know a practising physician or a medical researcher. See if you can contact him or her to learn more about a career in medicine. Maybe a doctor who has treated you or someone in your family would be willing to spend some time talking with you about a career in medicine. Another idea is to volunteer in a medical setting where you can meet someone who will be helpful and also have the benefit of learning even more about medicine first hand. You should begin to develop a game plan that includes establishing a solid academic record. You can do this by taking honours or advanced classes, getting good grades and involving yourself in extracurricular activities. Don’t be afraid to ask for help if you feel overwhelmed or concerned about your progress. Also, make it a point to consult regularly with a school adviser, professor or mentor. Put your game plan on the calendar. There are a lot of moving parts to consider when preparing for and applying to medical school, so an organised plan that lists important deadlines is necessary. Although it will be up to you to develop this plan, your adviser can review it and help fill in any missing pieces. Take advantage of the many resources available to help your planning. How do I know if Medicine is the right career for me? What kind of person makes a good doctor? By asking these questions, you’ve already shown several characteristics of a good doctor – curiosity, a desire to be the best at what you do and the motivation to challenge yourself. Also see the article, 6 essential traits for a good doctor. Good doctors are good communicators. They are able to truly listen to their patients, empathise and provide information about diagnosis and treatment in a way their patients will understand. Good doctors are altruistic (that is, they are always ready to put their patients’ needs first). Good doctors also have a strong sense of service, of wanting to help people feel better, making health care work better, and, in many cases, giving back to their communities. Above all, good doctors are motivated by a strong sense of professionalism – they have integrity and honour and are committed to upholding medicine’s timeless values. Why is it important that more minority students go into medicine? What are my career options once I have my M.D. degree? A medical career offers a wide range of opportunities, from setting broken bones to setting health policy. Chances are if you’re reading this page, you’ve already given a great deal of thought to helping people feel better or improving the nation’s health care. 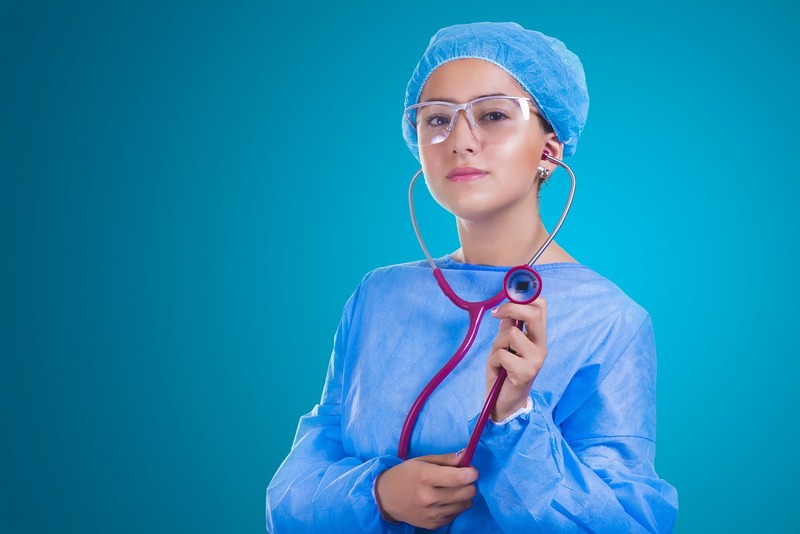 The question is, what type of medical career is right for you? In addition to providing the knowledge and skills you need to practice medicine, medical school will help you to explore the many rewarding career paths awaiting aspiring doctors. How can I learn more about what it’s like to be a doctor while I’m in college? You can get a better sense of what it’s like to be a doctor through hands-on experience acquired in internships, volunteer work and summer enrichment programmes. Experiences like these allow you to learn what a typical day might be like for a doctor and can also be a great opportunity to connect you to practising physicians and other medical professionals. Summer enrichment programmes like the Summer Medical and Dental Education Program (SMDEP) offer personalised medical school preparation and can help you learn more about medicine as a career. Is there any way to combine college and medical school? A number of universities offer combined (B.S./M.D.) college and medical school programmes. About 5% of all US medical school students participate in these programmes. While most involve the typical four years of undergraduate education followed by four years of medical school, some programmes permit students to complete both undergraduate and medical school in six to seven years. Several programmes are limited to state residents and many require prospective medical students to be enrolled at specific undergraduate institutions. Is it possible to go to medical school if I’ve already graduated from college without the sciences courses I need? There are plenty of instances where applicants begin to consider medical school after they have completed their undergraduate degrees – even after being in other career tracks for a time. If this is the case, it’s likely that you’ll need to bolster your premedical science background. There are post-baccalaureate programmes at colleges and universities across the country that will help you prepare for the premedical science coursework required for medical school. The programmes range from formal, one and two-year programmes for full-time students to more informal part-time ones. Some specialise in applicants who are planning to change careers, while others focus on those enhancing their prior academic performance. Also, if you were a science major in college, but some time has passed since you took premedical courses, you might consider these programmes as well. Are there any dual-degree programmes that combine medicine with another field of study? Medical schools and residency training programmes across the country provide combined, dual and joint degree programmes. For example, the federally funded Medical Scientist Training Programs (MSTPs) assist students in obtaining both the M.D. and PhD degrees in areas related to medical research and in working with mentors to prepare for careers as academic physicians and physician-scientists. Many medical schools on university campuses provide dual M.D./graduate and professional degree programmes in a variety of academic disciplines, including basic sciences, business administration, public health, education, and law. Graduates of such programmes often pursue careers as National Institutes of Health scientists, medical school faculty members, hospital administrators, healthcare entrepreneurs, medical informatics and diagnostic experts and forensic scientists and medical examiners. They also become authorities in epidemiology, public health and preventive medicine. ©2010 Association of American Medical Colleges. All rights reserved. Reproduced with permission.